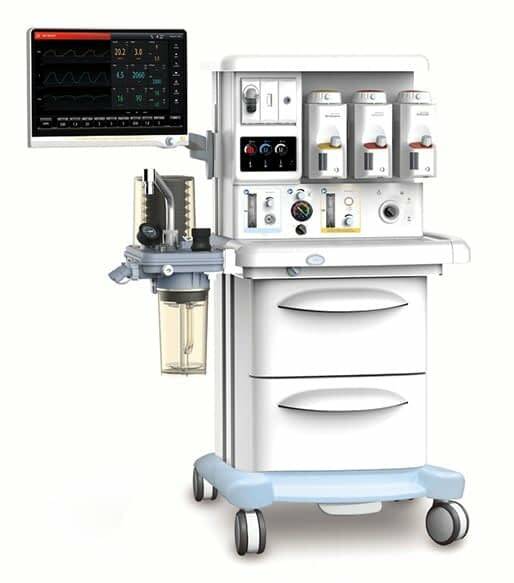 A MODULAR CRITICAL CARE CONCEPT. 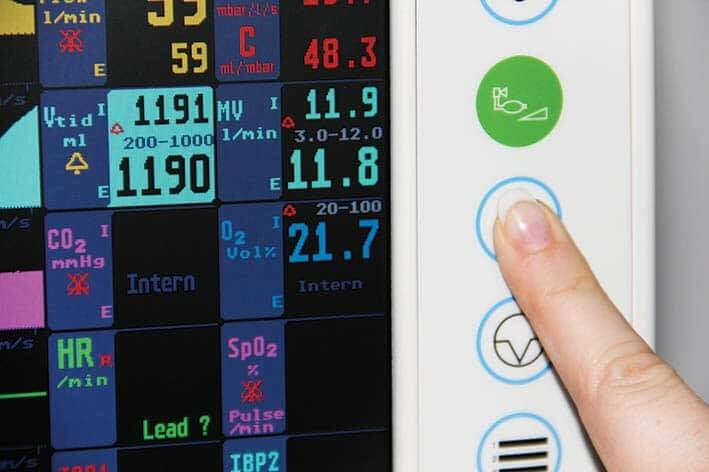 VENTILATION, MONITORING, DEFIBRILLATION. 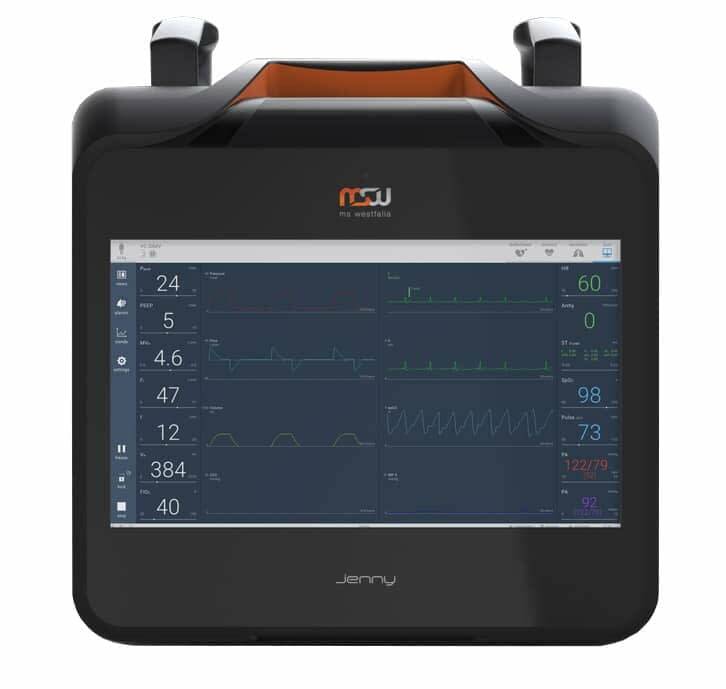 One universal unit for all patient groups, from neonates weighting 300 g to overweight adults. 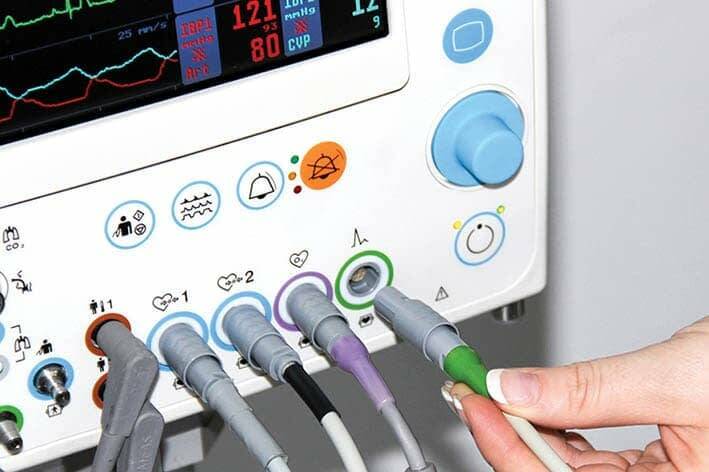 Circuit heating system controls the temperature at 35°C (±2°C) to avoid condensate water effect on the flow sensor lifetime and accuracy; also make the patient feel more comfortable. 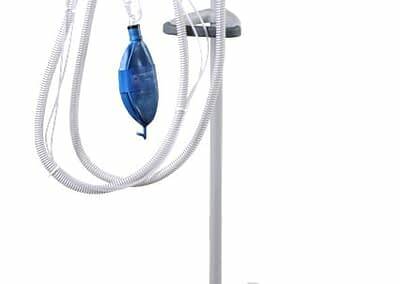 Bypass design enable fast and convenient replacement of CO2 canister without stopping operation. 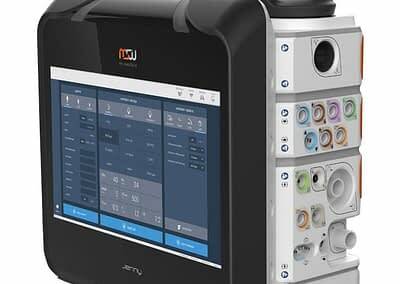 Special designed chamber assembly monitoring to avoid isoperation. Easy for installing cleaning disinfecting and maintaining without any tools and training. 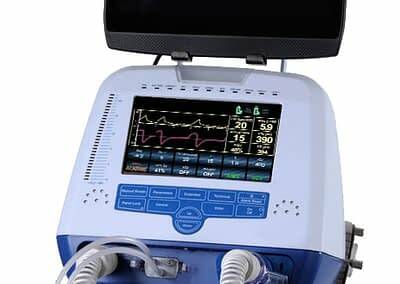 The large color LCD screen displays all ventilator’s setting data, measurement information, loops and numeric/graphic trends. Standard Active Exhalatlon Valve, Electronlc flowmeter. 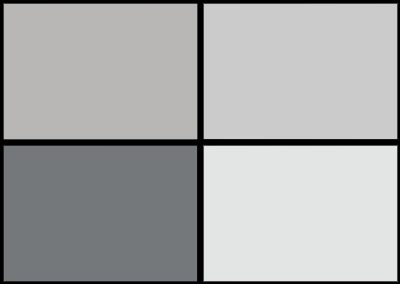 Sufficient modes of Ventilation, Volume Control, Pressure Control. 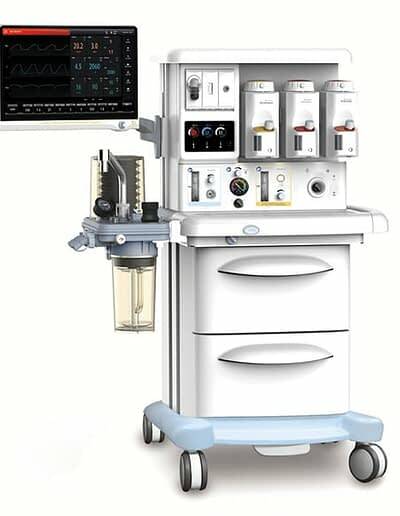 SIMV (Volume and Pressure), CPAP / PSV and manual. With Tidal volume 20ml which could apply adults and infant. 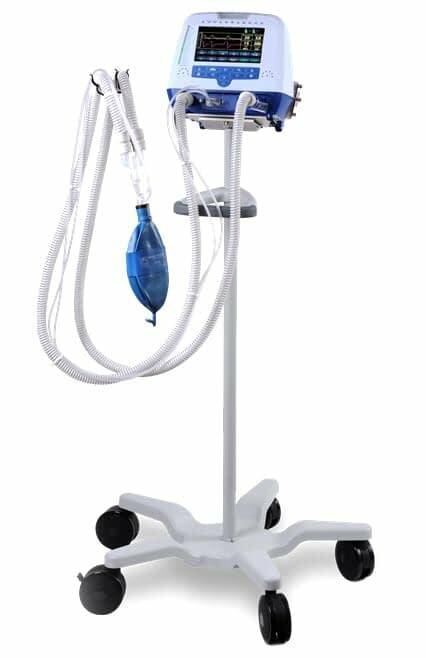 Optional Auxiliary oxygen flowmeter andfamous brand SPO2 ,EtCO2 provide more monitoring reference for droctor. A closed and semi-closed circuit, natural latex free to avoid allergic reaction. Fully 134°C autoclavable to avoid cross infection, especially for respiratory disease operation. Embed design, flow sensor with variable orifice, suitable for different application from child to adult. 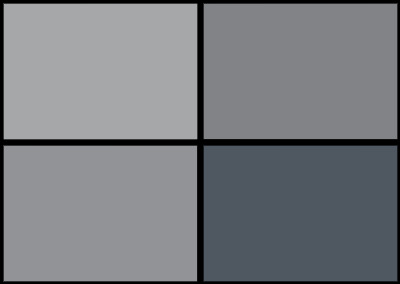 Efficient, integrated heating system, optimized airway design and water trap design to ensure the air flue without being affected by condensation. 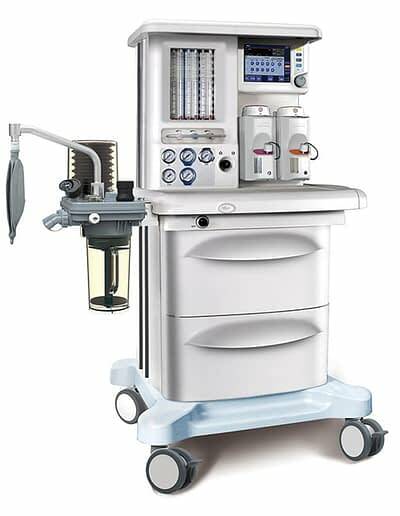 Also ensure the accuracy of operation for long term. Bypass design, replacement for absorber canister fast and convenient, alarm functions remind the doctor always and let the operation more safe and reliable. 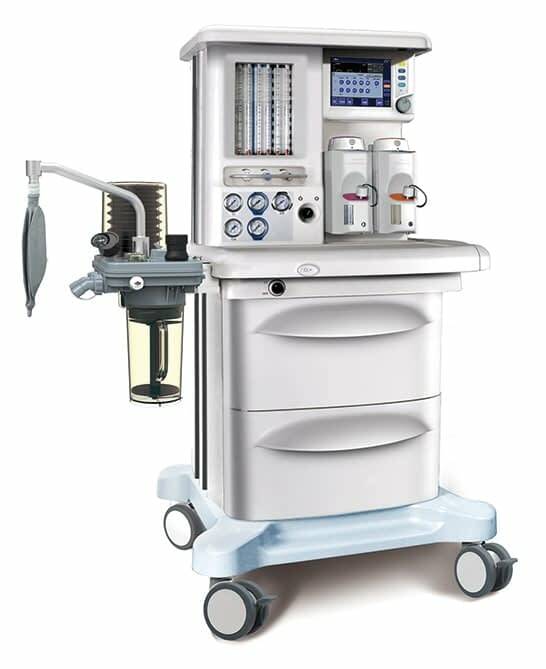 High precision anesthetic vaporizer, service free, dual position with Selectatec bar. 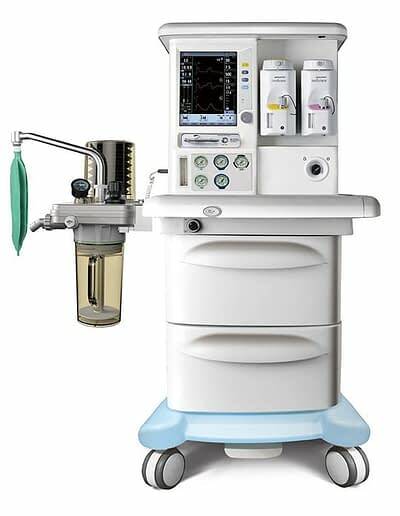 Dosage: 300ml, available for Halothane, Enflurane, lsoflurane, Sevoflurane vaporizer with interlock safe systems. 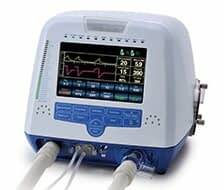 Compensates for variances in pressure, temperature and flow for accuracy of transmitting concentration ensures patients receive adequate oxygenation, reliable vaporization of inhaled anesthesia drugs. 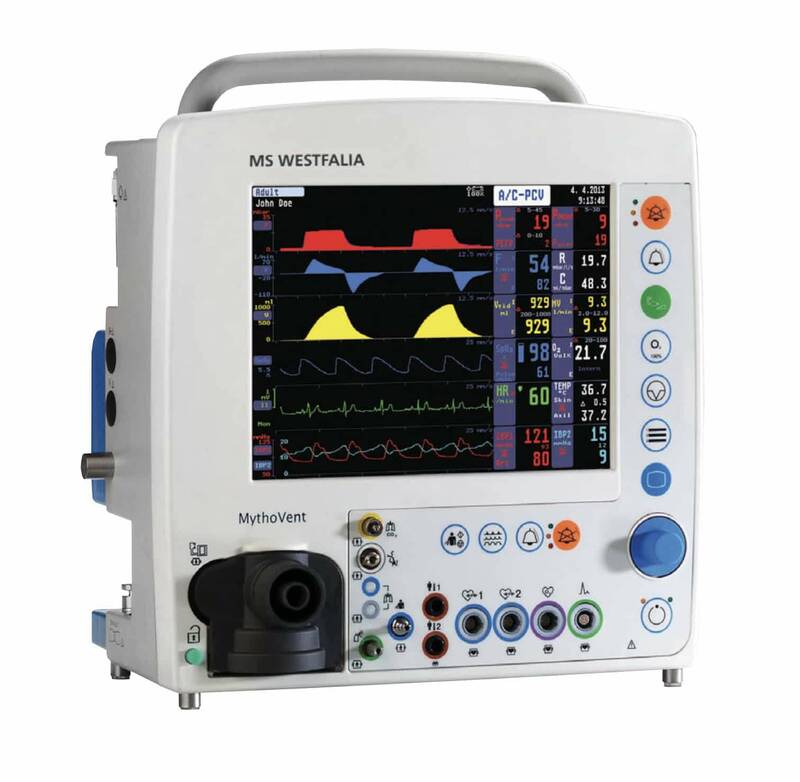 The first ventilator in the world with built-in function of vital signs monitoring. 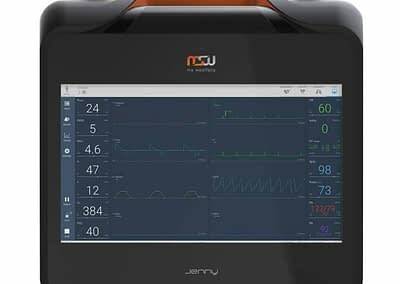 It records ECG in 3-/5-lead, heart rate, 2xTemp, pulsoxymetrie, SpO2, NIBP, 2xIBP, respiratory rate displaying all parameters on the screen. 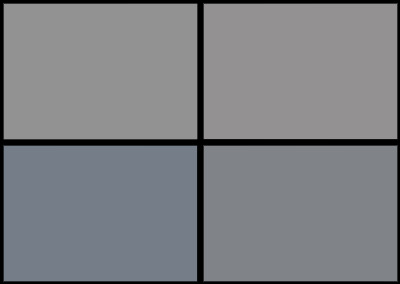 A new step to ideal ventilation – allows for a full time operation by exchanging of the cassette. Only in MythoVent a long-life cassette can be cleaned, sterilized, disinfected and used again and again. It is suitable for coaxial or dual hose system. In MythoVent the medicine is given to the patient only during the first 75% of the inspiratory phase. Experts confirm that this way of delivery is the most effective. 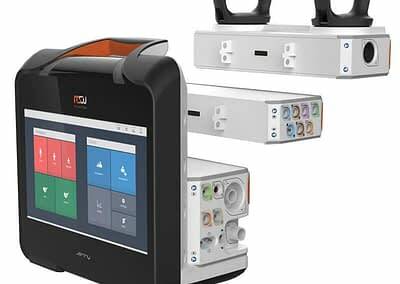 In-hospital patient transportation becomes safer and more comfortable with MythoVent. 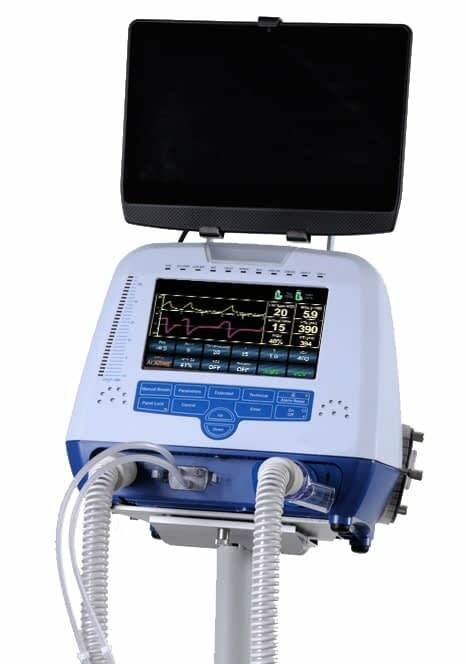 Ventilator has a built-in battery with 30 min operation time, 5L portable oxygen cylinder, the trolley mount are also available (including 2 external battery pack, 2 full size oxygen cylinders an air bottles, mount for patient`s bed and for the infusion stand). 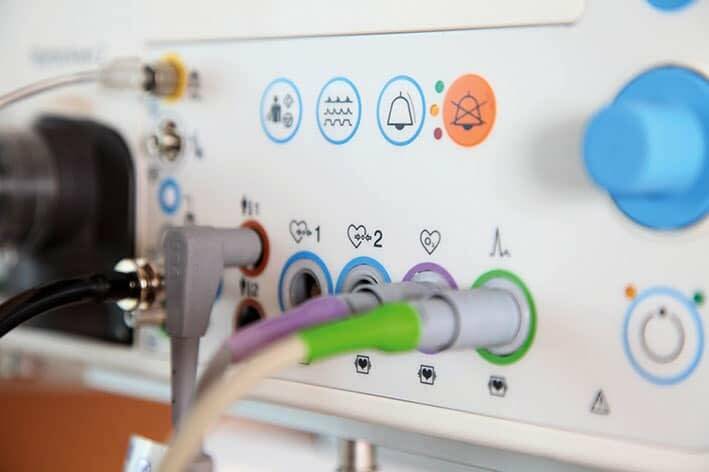 Тhe revolutionary solid-state sensor technology allows to measure the oxygen concentration parameter immediately (< 0,2 s), accurately (0,1% resolution) and with minimal cross-sensitivity to other types of gas molecules. 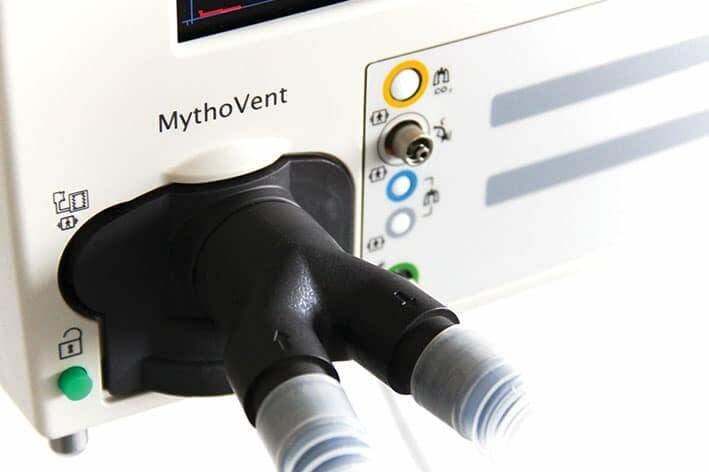 MythoVent laser oxygen sensor does not need calibration of exchanging and can be used during the whole lifetime of the device itself. 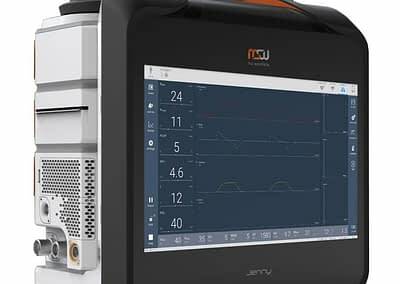 Only MythoVent warn automatically of complications associated with injury of trachea mucous membrane after prolonged intubation. 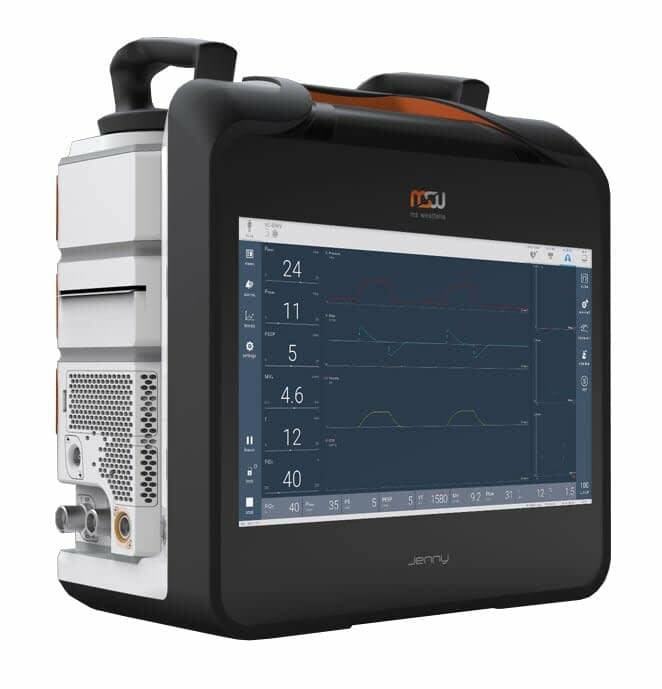 This device controls pressure of endotracheal tube cuff in relation to respiratory phase providing air tightness and reducing risk of trachea epithelium injury. 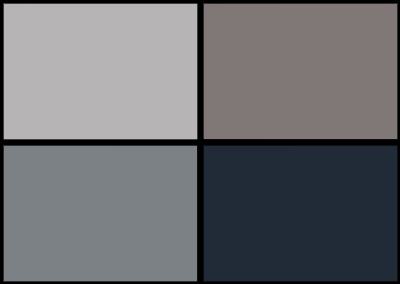 10,4” LCD color display with auto-light sensor (auto, dark, medium, bright). In one screen there are 6 traces for up to 8 curves and 2 loops. 12 numerical fields for 24 values with option of individual configuration (up to 10 presets). Respond With Confidence! 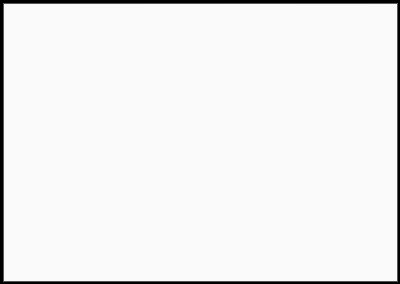 Your Partner in Ventilation. 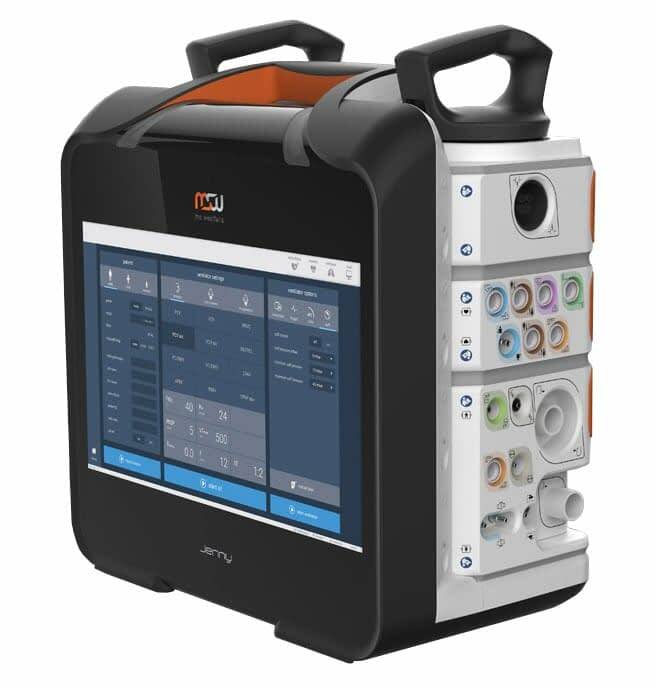 Remarkable performance and features in a portable and intuitive package. 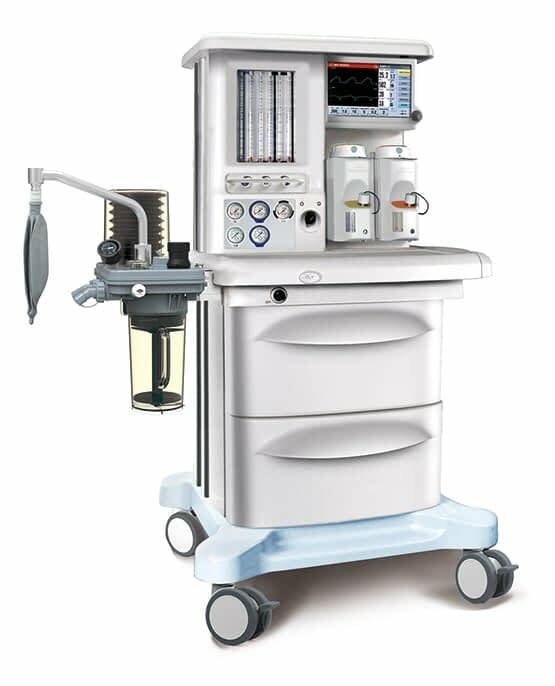 The Inspirer ventilator is designed to address a wide range of hospital needs while improving patients’ comfort & independence. 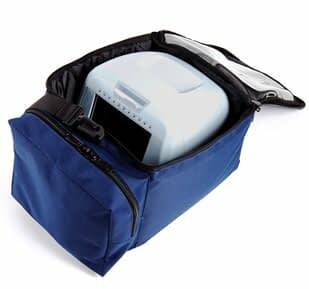 A complete independent ventilation solution for your emergency transports in a portable and intuitive package. 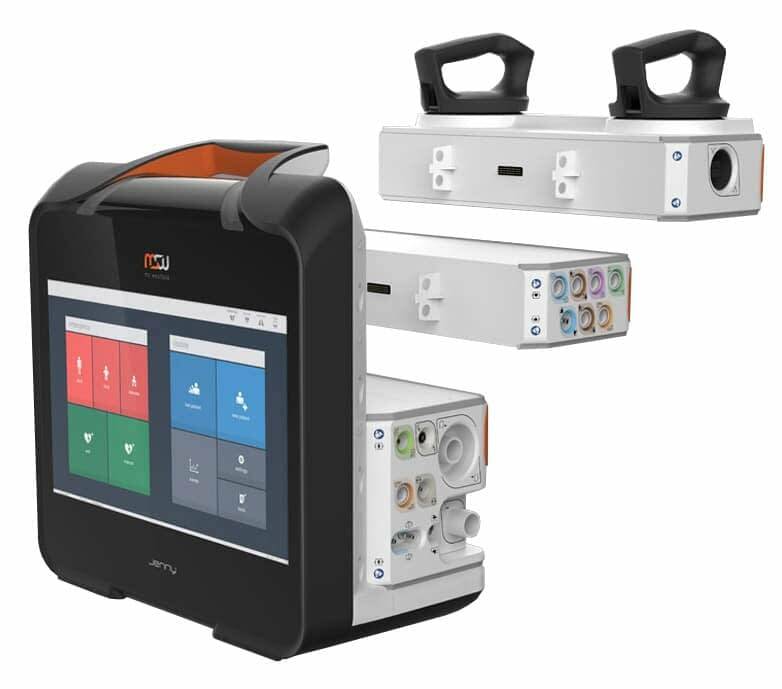 From CPAP patients to fully ventilator-dependent patients, Inspirer provides you with advanced capabilities when, where and for as long as you need them. Offers remarkable comfort level, dependability, independence and quality of life while maximizing performance and safety. 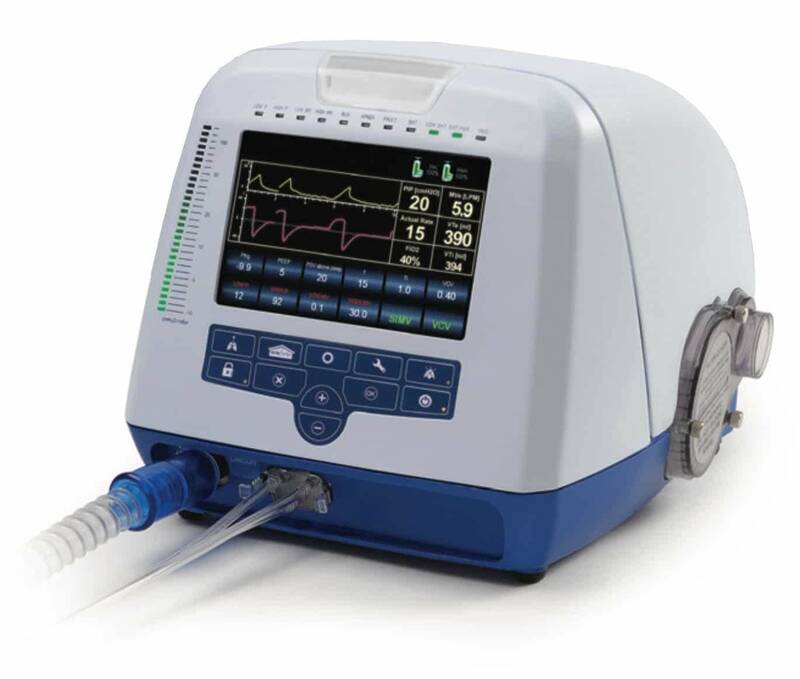 The Inspirer ventilator is designed to address the needs of a wide range of patients providing efficient therapy with simple and intuitive operation.